I love beef jerky, and it makes so much sense from the Paleo standpoint. Problem is that almost all the jerky you can find commercially has tons of preservatives, and almost always soy sauce. So, I stole my mom’s food dehydrator and this what I got! Was tasty indeed. Slice up any cut of lean beef into thin strips and marinate them for a few hours. 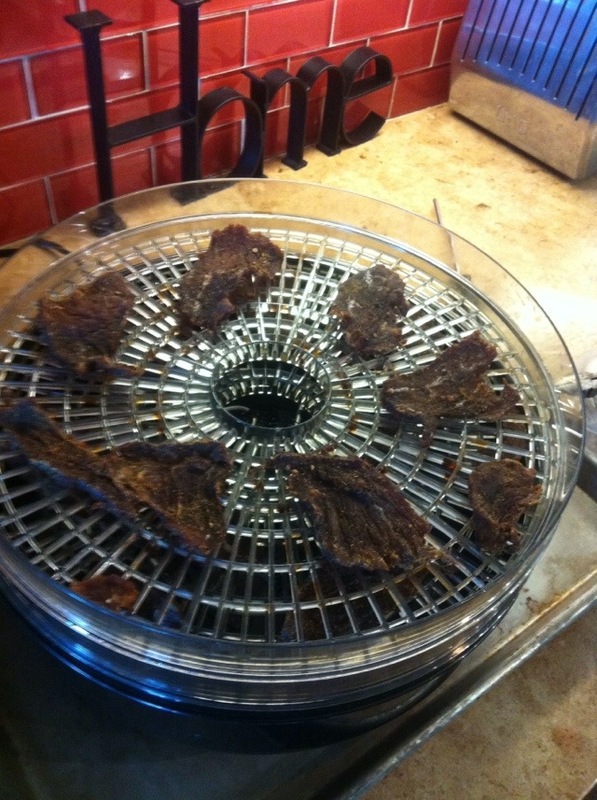 Then put them on the food dehydrator and dry until you like the texture. Much cheaper, much healthier, and much better tasting than what comes in a bag!